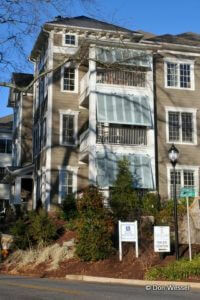 Time for an update to my Downtown Greenville City Real Estate page! There are a couple videos below from last year if you’d like to view. A lot of folks like to live in the Greenville city limits. Why, well it’s close to Downtown Greenville. 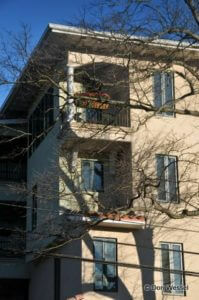 Many of the neighborhoods in the city limits are within walking distance of downtown. 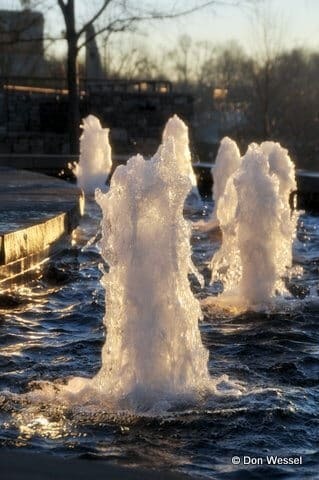 So how is the popularity of these downtown Greenville areas doing here in 2012? Still very popular folks. I get calls all the time from people wanting to see these older, stately homes. Some have been updated and some need work. What you will find is that many young couples want to go into these areas and renovate these old homes. These downtown neighborhoods have grand trees, sidewalks and are very family friendly. 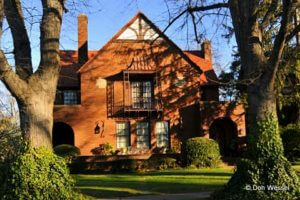 I’m going to add a link here to some Greenville SC Historic Homes if you’d like to take a look at what’s currently available. 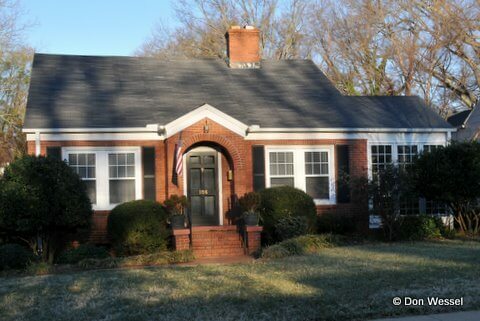 Want to see new listing in the city limits? 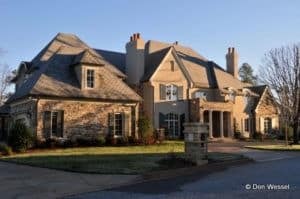 Click Greenville SC Homes! 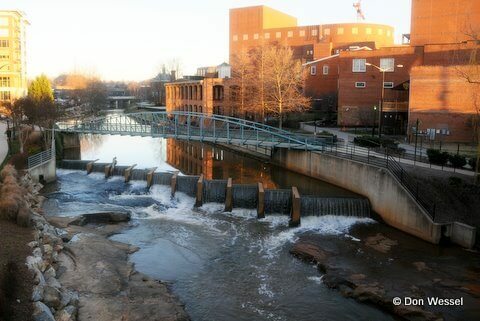 Just finished up my new Downtown Greenville SC Real Estate Video Tours. Part 1 which covers the Downtown Greenville North Main Area to the Historic Hampton Pinckney area and Part 2 which finishes out the Downtown Greenville South Carolina West End area to Augusta Rd. and Cleveland Park. Downtown Greenville Video Tour Part 1 North Main, Over Earle St., Downtown Greenville City and Hampton Pinckney Areas. West End to Augusta to Cleveland Park! 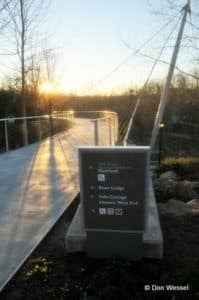 Let’s start our tour of Downtown Greenville City Real Estate as well we should. So how’s the economy. Looks pretty good to me. I’m sitting right beside Poinsett Corners watching the construction on the new Marriott Downtown Greenville. Did you know Forbes ranks Greenville South Carolina as the number 5 place to live in the United States? Factors considered: Affordability, job growth, low property taxes! I’m going to head back to Main St. and take a right towards Falls Park. Just had to grab a couple of shots on this beautiful morning. Let’s continue up the West End of Greenville. Going up Augusta you will pass Greenville High on the right. 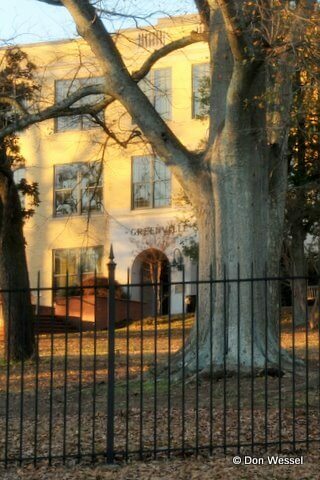 Greenville High was just totally renovated as have many of the schools in Greenville and surrounding areas. 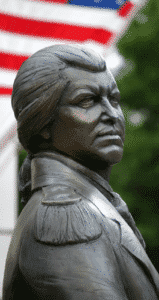 I want to continue to Church Street and take a right towards the Greenville Memorial Hospital. 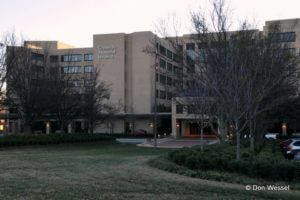 Greenville Memorial is an excellent teaching hospital with numerous branches through the Greenville area. Right besides Greenville Memorial is The Shriners Hospital for Children. Take a left down Faris and you run into part of The Greenville Country Club Area. Chanticleer is a very popular neighborhood with some beautiful homes, many located on the Golf Course. As we leave Chanticleer we’ll take a right on Faris and head towards Augusta Rd. Folks, there are plenty of lower price point homes in the area. You just have to be quick to find them. Many young families have moved in and done some very nice renovations. Click Here to View Augusta Rd. Homes for Sale. Opens in a new window. 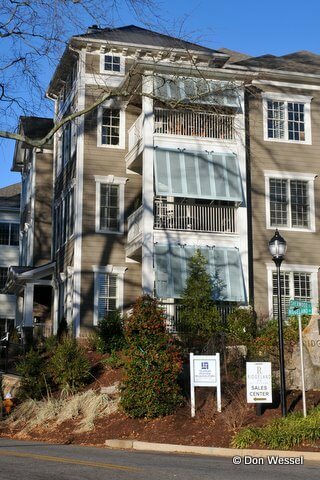 Click Downtown Greenville SC Condos for more information. Opens in new window. I’m going to take a left and head down town towards Park Ave. I’m really just making a circle and will end up on Main St. again. This time I’m north though. Let’s tour through the North Main area to The Earl Street Historic section. Here you will find a number of fixer uppers that young couples have bought as well as established homes! 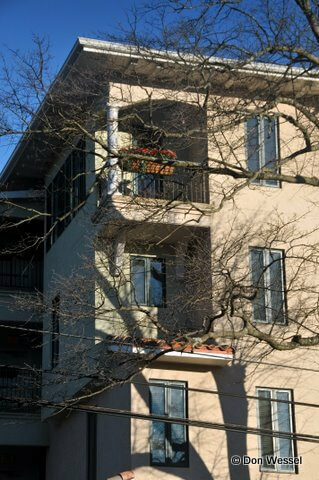 Click Here for North Main Homes for Sale. Opens in a new window. We are about to wrap up for now so I wanted to finish at Cherrydale shopping. This land was once owned by the Stone Family and there used to be a manufacturing facility there. They sold the land and the development started which includes the very popular Montebello Subdivision. 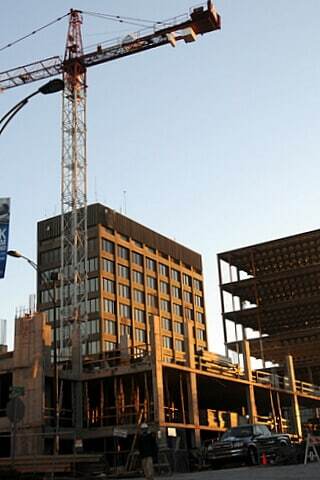 Yes folks the economy is not stopping the construction of millon dollar homes there. Click Here for Montebello Homes for Sale! Opens in a new Window. Now please don’t think it’s all million dollar in this area. There are a great many values in the area and wonderful neighborhoods just like Half Mile Lake around the $200,000’s Click here to view those homes and call me for your own personal tour at 864-335-8490!